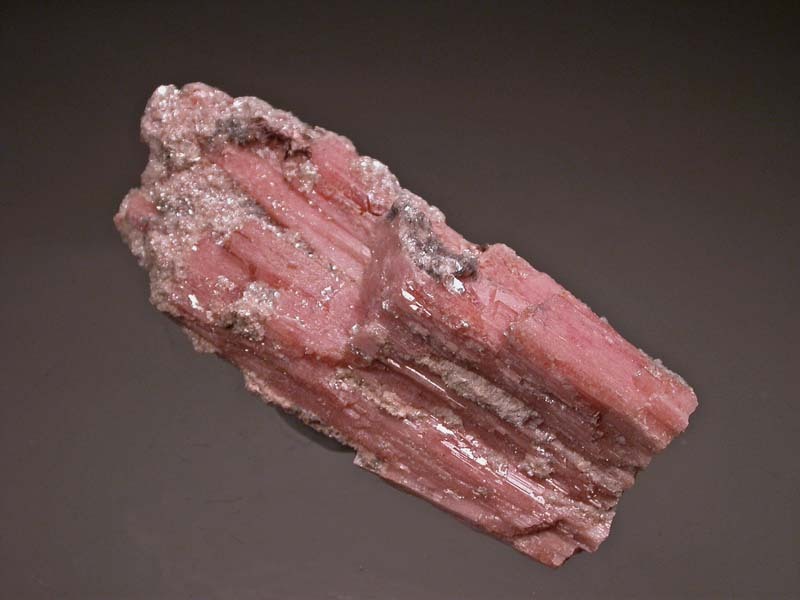 A group of divergent, light pink serandite crystals highly encrusted with fine-grained polylithionite. Significantly, there is a portion of the divergent serandite missing off of the front. The remaining crystals look great! 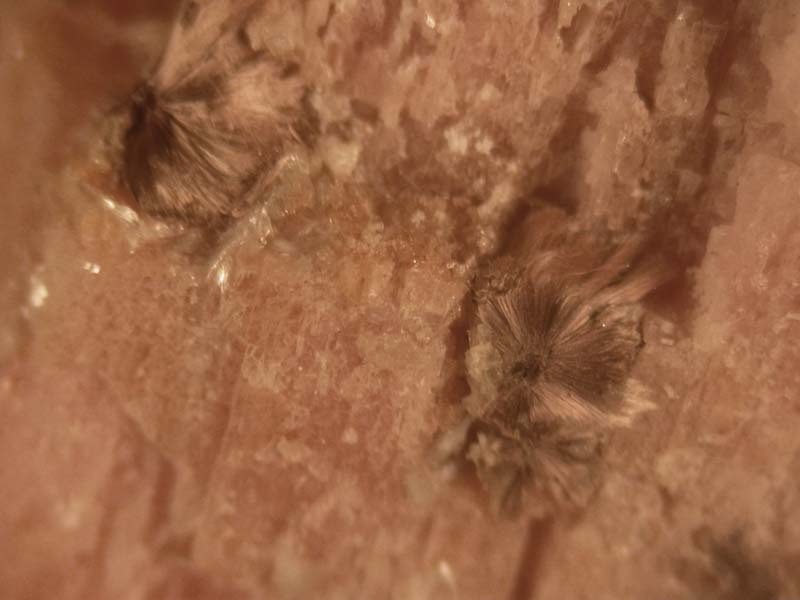 As well, there are a number of very nice tufts of light mauve yofortierite on the serandite. The colour is not right in the micro-photo but they are light mauve and very nice!